Debra Sommerfield - President, Lake County Winegrape Commission, District 2. Introduces Elixir of Lake County. 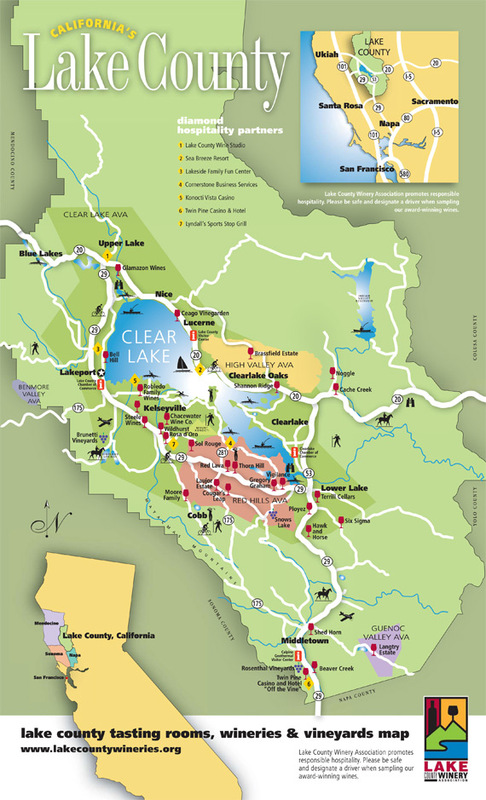 Professor of Biology at the Clear Lake Campus of Yuba College in Clearlake, CA. President and Chief Operating Officer of Beckstoffer Vineyards, an established Napa/Mendocino Counties Vineyard corporation, the largest Lake county grower of winegrapes in Lake County. a licensed depth psychologist, who assisted Joseph Campbell at seminars and served as founding curator of the Joseph Campbell Archives and Library at Pacifica Graduate Institute on the Gods of wine Bachus and Dionysius. Nick Buttitta, winemaker and vineyard owner of Rosa D'Ora Winery and Vineyards, and Chairman of the Board of the Lake County Winery Association (LCWA.